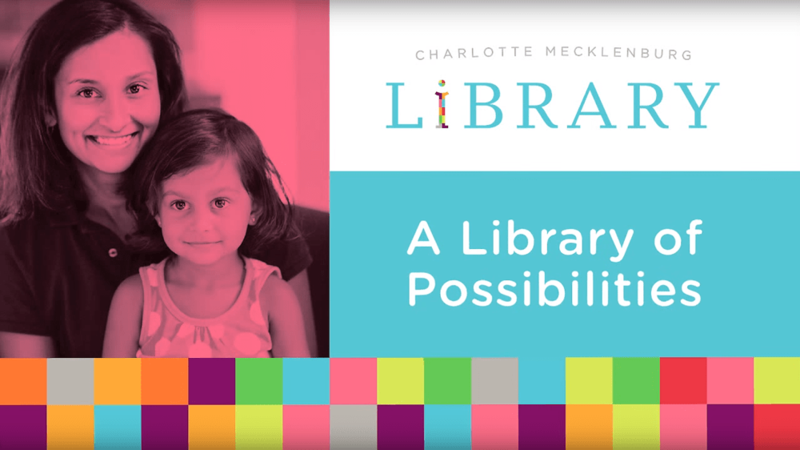 It is a question we in the industry hear more often than we would like, and one that we at Charlotte Mecklenburg Library set out to answer this past year through the authentic stories of our customers. This is nothing new. We’ve been telling the library’s story for years. We have all the facts and statistics, a couple of favorite stories of impact at the ready. But in fact, we are not the right spokespersons. It’s not the library staff or the marketing teams that can best tell our story. It’s the people who use our libraries. All we did was give them a voice and platform to tell their story, and by doing so, they told our story. It was a team effort. We met with staff, requested stories of impact and combed through our already curated database of customer stories from our 2013 “I CAN” campaign (where we asked customers to finish the statement “Because of my library, I can…”). We chose customers who accurately represented different populations of library users, with hopes that people watching the video could see themselves using our libraries. Above: image from “Get to know your library” brochure, a companion item to the video campaign, with additional use for advocacy and outreach. The branches that served as the interview backdrops were chosen based on the interviewee and their story. We wanted to film each customer in an area of the library they would actually use. We had a list of questions to ask, but the interviews always morphed into a casual conversation that allowed us to get great insight into the positive ways our library system impacted their lives. It took several months to complete the video – from research to planning to scheduling to filming to editing (and more editing!). In addition to the 8-minute video (shown below), we also created a 2-minute version and 15-second snippets of each customer’s story (a total of ten videos). This was only half the work that needed to be done. After all, what good is a video if no one watches it? There were several opportunities already in place where this video could be used. As part of one-time County funds for advertising, we used versions of the video in movie theaters (shown below) and on our local public television channel (aired 108 times). These spots ran throughout the entire year thousands of times and in front of hundreds of thousands of people. These two outlets alone allowed us to tell our story to so many people who may not have been aware of all their library had to offer. We also had the opportunity to present Summer Reading grand prizes at the Charlotte Knights’ back-to-school baseball game. We showed the 2-minute version on the jumbo-tron to more than 7,000 fans (many of whom were local students and families). We also shared this video socially, timing the launch with the 2015 Get Outside the Lines campaign, a week-long campaign to re-introduce the community to the library. Our videos were shared on Facebook, Twitter, Instagram, Pinterest, LinkedIn and Google+ with more than 400 interactions. This Storify page tells the story of this part of the campaign. This project, in partnership with the advertising campaign and other PR efforts, not only helped spread the word about our library, it helped us reach strategic goals. We were able to see an increase in new cardholders over the previous year, and an increase in specific segments of our cardholders we had set out to target. What more could you ask for? 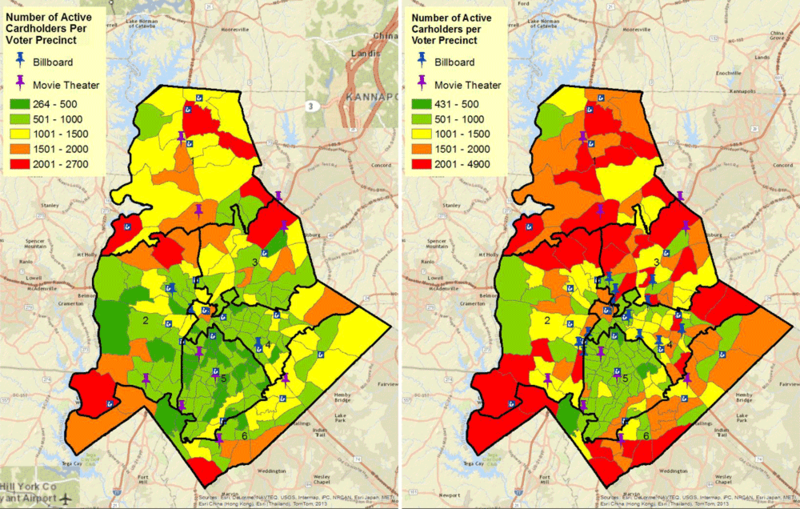 Above: The map on the left shows active cardholders in August 2015, before the video campaign, and right, in January 2016, which demonstrates the effectiveness of the marketing campaign. 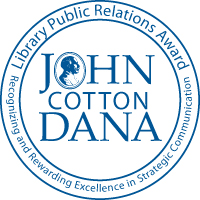 And like icing on a cake, we were honored to receive a 2016 John Cotton Dana Library Public Relations award. This award recognizes the hard work our staff put into this project, and created an even bigger voice and platform for our customers to continue to tell the story of Charlotte Mecklenburg Library.